Even though it was the oldest tank in the Soviet inventory, the T-72BU “Vladimir” continued to be the most prolific tank in EBSIS service all the way up to the Invid Invasion. The T-72BU “Vladimir” main battle tank was created in the late 1980s as a deep modernization of the T-72. (After the death of Vladimir Ivanovich Potkina, chief designer of the tank, “Vladimir” became the official patronymic designation.) Soviet doctrine long called for a high/low mix of tanks. This went back to the sixties with the introduction of the T-64 main battle tank as the advanced tank, and the original T-72 as the “mobilization” tank. 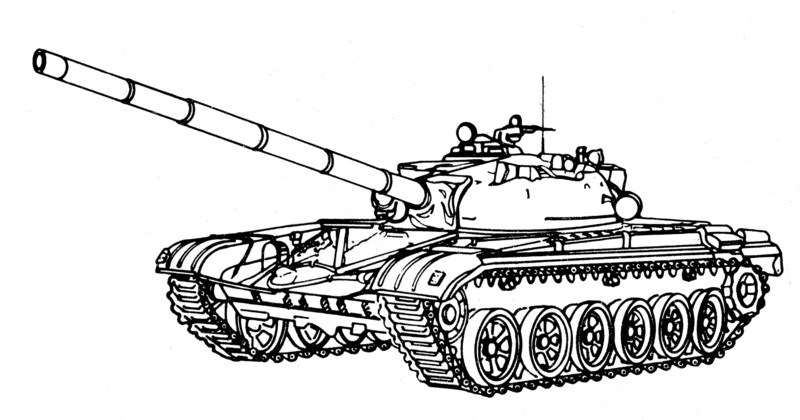 The T-64 was eventually developed into the T-80, while the T-72 continued on as the low-end tank. Even as the T-80 was replaced by the T-95 and then the T-20 Arsenal, the T-72BU remained in service. The T-72BU is a third-generation Russian battle tank that entered service in 1993. 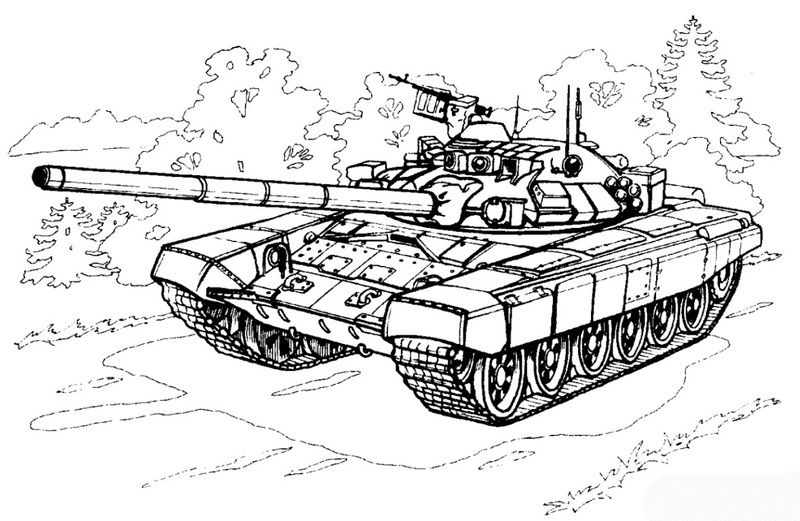 The tank is a modern variation of the legacy T-72 and incorporates many features found on the T-80U. It was an advanced tank in service with Soviet Ground Forces and the Naval Infantry, as well as all members of the Eastern Block of Soviet Independent States. The T-72BU uses a 125mm 2A46 smoothbore main gun, the 1A45T fire-control system, an uprated engine, and some vehicles thermal sights. Standard protective measures include a blend of steel and composite armor, smoke grenade dischargers, Kontakt-5 explosive-reactive armor and the Shtora infrared ATGM jamming system. It was designed and built by Uralvagonzavod, in Nizhny Tagil, Russia. The T-72BU was officially accepted into service on 5 October 1992 by the Soviet Ministry of Defense. The principal upgrade in the T-72BU is the incorporation of a slightly modified form of the T-80U’s more sophisticated Irtysh fire control system, designated 1A45T and an upgraded V-84MS multi-fuel engine developing 830hp (620kW). The T-72BU was manufactured at the Uralvagonzavod factory in Nizhny Tagil, with low-level production being carried out since 1993 and virtually ceasing after the catastrophic end of the First Robotech War. Less than 200 T-72BU tanks were delivered to Soviet Ground Forces before full scale production was resumed in 2016 at Uralvagonzavod’s rebuilt factory at Nizhny Tagil. After the destruction of the last turret casting line in the Soviet Union, the designers at Uralvagonzavod created a new, welded turret to offer further improvement. T-72BU. Original production variant, sans ERA. The T-72BU’s main armament is the 2A46M 125mm smoothbore tank gun. This is a highly modified version of the Sprut anti-tank gun, and is the same gun used as the main armament on the T-80-series tanks. It can be replaced without dismantling the inner turret and is capable of firing armor-piercing fin-stabilized discarding sabot (APFSDS), high-explosive anti-tank (HEAT-FS), and high explosive fragmentation (HE-FRAG) ammunition, as well as 9M119M Refleks anti-tank guided missiles. The Refleks missile has semi-automatic laser beam-riding guidance and a tandem hollow-charge HEAT warhead. It has an effective range of 100 m to 6km, and takes 17.5 seconds to reach maximum range. Refleks can penetrate about 950 millimeters (37 in) of steel armor and can also engage low-flying air targets such as helicopters or Invid mecha. The NSV 12.7mm (12.7×108) remotely controlled anti-aircraft heavy machine gun can be operated from within the tank by the commander and has a range of 2km and a cyclic rate of fire of 700–800 rounds per minute with 300 rounds available (the NSV was replaced by the Kord heavy machine gun in the late 1990s). The PKMT 7.62mm (7.62×54mmR) coaxial machine gun weighs about 10.5kg while the ammunition box carries 250 rounds (7,000 rounds carried) and weighs an additional 9.5kg. Like other Soviet tanks the 2A46M in the T-72BU is fed by an automatic loader which removes the need for a manual loader in the tank and reduces the crew to 3 (commander, gunner, and driver). The autoloader can carry 22 ready-to-fire rounds in its carousel and can load a round in 5–8 seconds. It has been suggested that the automatic loaders on modern T-72BU tanks have been modified to take advantage of newer ammunition such as the 3BM-44M APFSDS, which like the United Earth Defense Force (UEDF) M829A3 penetrates armor better than the previous shorter rounds. HEAT rounds that can be fired from the 2A46M includes the 3BK21B (with a depleted uranium liner), 3BK29 (with a credited penetration of 800mm RHA equivalency), and the 3BK29M (with a Triple-tandem charge warhead). Additionally, the T-72BU features the Ainet fuse setting system which allows the tank to detonate 3OF26 HE-FRAG rounds at a specific distance from the tank as determined by the gunner’s laser rangefinder, improving its performance against helicopters and infantry. Fire-control system on the T-72BU includes the PNK-4S/SR AGAT day and night sighting system mounted at the commander’s station which allows for night time detection of a tank sized target at ranges between 700 and 1100 meters depending on the version of the sight. 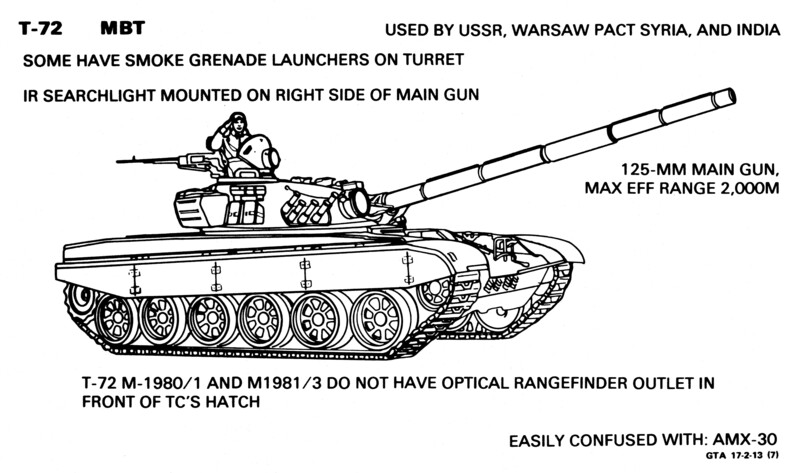 Early models of the T-72BU were equipped with the TO1-KO1 BURAN sight but later models (T-72BU/S) were upgraded to use the ESSA thermal imaging sight, which allows for accurate firing to a range of 5,000–8,000m using the CATHERINE-FC thermal camera produced by Thales Optronique. The gunner is also provided with the 1G46 day sighting system which includes a laser range finder, missile guidance channel and allows tank-sized targets to be detected and engaged at 5 to 8 kilometers (3.1 to 5.0 mi). The driver uses a TVN-5 day and night sight. In 2010, Russia started licensed production of Thales-developed Catherine FC thermal imaging cameras for T-72BUM tanks, a Russian daily said. T-72BUA. The new welded turret with its angular geometry is clearly visible. The prime mover is the B-92C (V-92S) diesel engine, built in the ChTZ. Different models of the T-72BU tank are powered by various motors in its initial models, like the V-84MS 618kW (840hp) four-stroke V-12 piston engine, uprated 1,000 hp (750 kW) engines and 1,250 hp (930 kW) engines made by Uralvagonzavod and are delivered by Chelyabinsk Tractor Plant. The Т-90S with 1,000 hp (750 kW) engine can attain a top speed of 60km/h on the road and up to 45km/h on rough terrain. T-72BU tank has typical drivetrain arrangement, with rear placed engine and transmission. The 1,000 hp (750 kW) engines are V-92 four stroke, 12 cylinder, multi-fuel diesel while 1,250 hp (930 kW) engine is V-96. The T-72BU export version i.e. modified T-72BUS is fitted with increased power multi-fuel 1,000-h.p. diesel engine with turbochargers. The tank is also fitted with an air conditioning system for work in high temperature zones. The T-72BU is fitted with a “three-tiered” protection system. The first tier is the composite armor in the turret, consisting of basic armor shell with an insert of alternating layers of aluminum and plastics and a controlled deformation section. The second tier is third generation Kontakt-5 ERA (explosive reactive armor) which significantly degrades the penetrating power of kinetic-energy APFSDS ammunition; these ERA blocks give the turret its distinctive angled “clam shell” appearance. ERA bricks are also located on the turret roof and provide protection from top-attack weapons. The turret’s forward armor package, in addition to the ERA and steel plating, contains a composite filler of Russian composite armor sandwiched between upper and lower steel plates. The composite armor results in a lower weight and improved protection when compared with steel-only armor. The third tier is a Shtora-1 (Russian: Штора-1 or “curtain” in English) countermeasures suite, produced by Elektromashina. This system includes two electro-optical/IR “dazzlers” (i.e. active infrared jammer) on the front of the turret (which gives the distinctive “Red Eyes”), four laser warning receivers, two 3D6 ‘smoke’ grenade discharging systems and a computerised control system. The Shtora-1 warns the tank’s crew when the tank has been ‘painted’ by a weapon-guidance laser and allows the crew to slew the turret to face the threat. The infrared jammer, the TShU1-7 EOCMDAS, jams the semiautomatic command to line of sight (SACLOS) guidance system used by some anti-tank guided missiles. The smoke grenades are automatically launched after Shtora detects that it has been painted. The smoke grenades are used to mask the tank from laser rangefinders and designators as well as the optics of other weapons systems. This system was later replaced by the Shtora-2, which added a laser to engage and shoot down incoming ATGMs. T-72 – Original variant on which the T-72BU is based. In service from 1973, continued to be used by Cuba and various EBSIS member states up to the Invid Invasion. 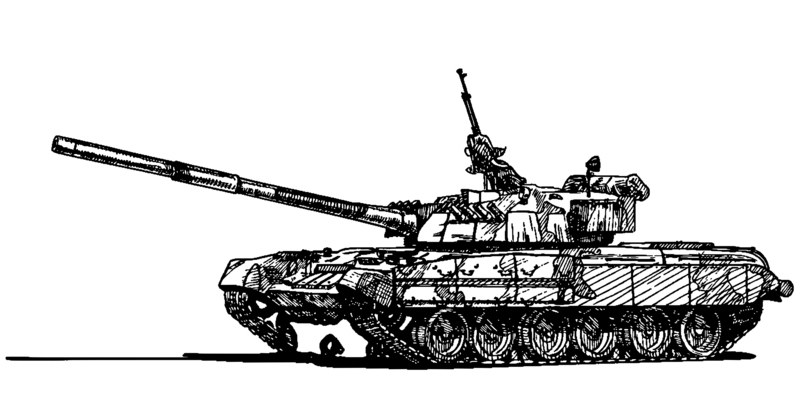 T-72/74 – Also referred to as the T-74. Produced from 2016 onward at the Uralvagonzavod Tractor Plant 74, hence the name. Factory 74 was built in the Tuva Administrative Division of the USSR after the First Robotech War. The T-72/74 incorporated several minor improvements over the baseline T-72. The hull included an offset driver’s compartment to make room for additional fuel, externally mounted mufflers and welded road wheels. The turret maintained the same shape, but had an improved commander’s cuppala and a rear opening gunner’s hatch. All sub systems, to include the power pack and the fire control system, are the same as were used on the contemporaneous T-72. T-72BU – The first production version. T-72/74BU – Version based on the T-72/74. T-72BUK – Commander’s version of the T-72BU, with additional communication (station R-163-50K) and navigation equipment (TNA-4-3). 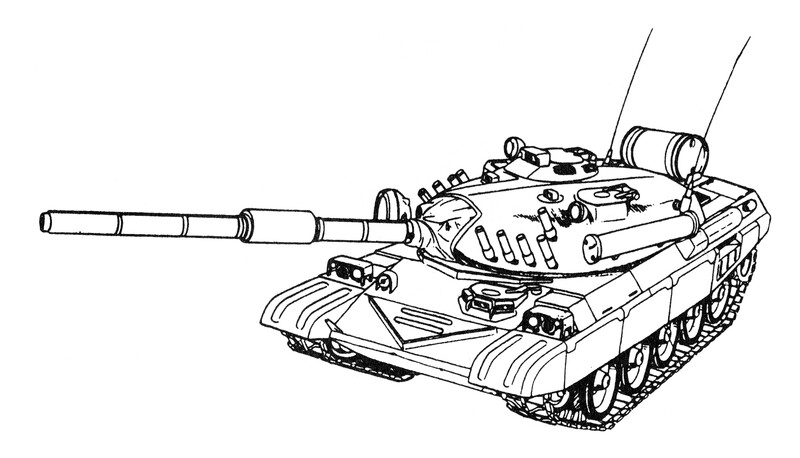 T-72BUA – Soviet army version with welded turret, V-92S2 engine and ESSA thermal viewer. T-72BUA/K – Command version of T-72BUA. T-72BU/S – Export version of the T-72BU/, later adopted by the Russian Armed Forces as the T-72BUA. These tanks were made by Uralvagonzavod and were updated with 1,000hp (750kW) engines made by Chelyabinsk Tractor Plant. These tanks carry a leaner version of the Shtora-1 passive/active protection system which lacks the infra-red dazzlers carried on the turret. These were initially supplied with cast turrets of the early T-72BU, and when stocks were depleted, new, welded turrets were fabricated. T-72BU/SK – Commander’s version of the T-72BU/S, with additional communication and navigation equipment. It differs in radio and navigation equipment and Ainet remote-detonation system for HEF rounds. T-72BU/AM – First post-war variant, entering production in 2016. The main features include the modernization of the old turret design, which is equipped with a new advanced fire control system “Kalina” (with integrated combat information and control systems), a new automatic loader and a new upgraded gun 2A46M-5, as well as a remote-controlled anti-aircraft gun “UDP T05BV-1”. The new version also includes the Relikt (Реликт (динамическая защита) ERA bricks instead of the Kontakt-5 ERA bricks. Other improvements include a new 1130HP engine, an enhanced environmental control system, and satellite navigation systems. T-72BU/AM with ERA and active protection systems. T-72BU/MS – Final modernized (M) version of the T-72BU, with a 1130HP engine, a PNM Sosna-U gunner view, a 7.62mm turret UDP T05BV-1 RWS, GLONASS, inertial navigation systems, new explosive reactive armor (ERA) and steering wheel. A new removable turret bustle was included, which provides storage for eight additional rounds. MTU-90: Bridge layer tank with MLC50 bridge.